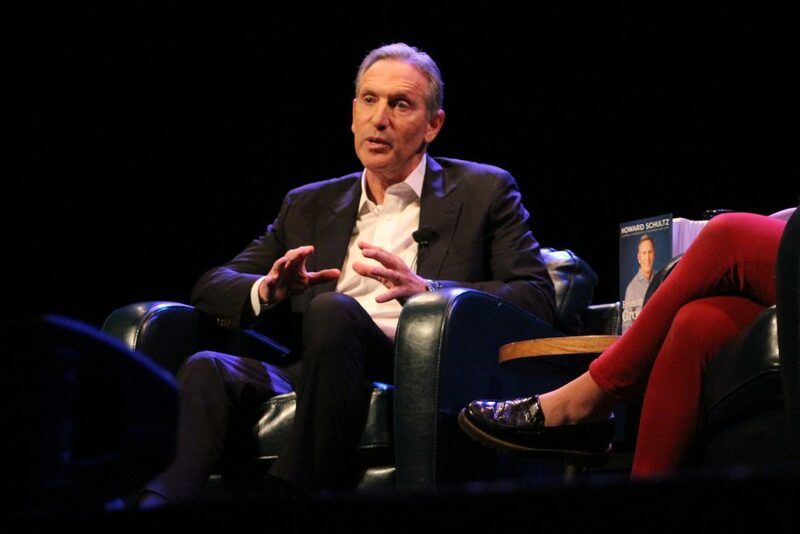 Howard Schultz, the wildly successful businessman and ex-CEO of Starbucks, visited the Moore last Thursday to discuss his fourth book, From the Ground Up. 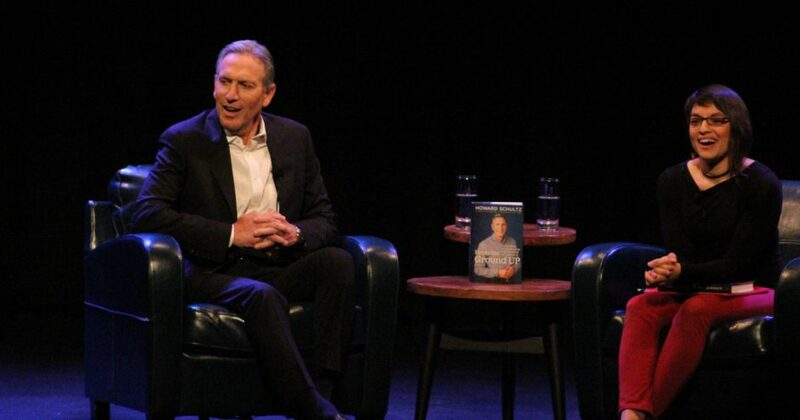 Part autobiography, From the Ground Up details growing up in Brooklyn, Schultz’s business approaches and some of his recent experiences traveling America. 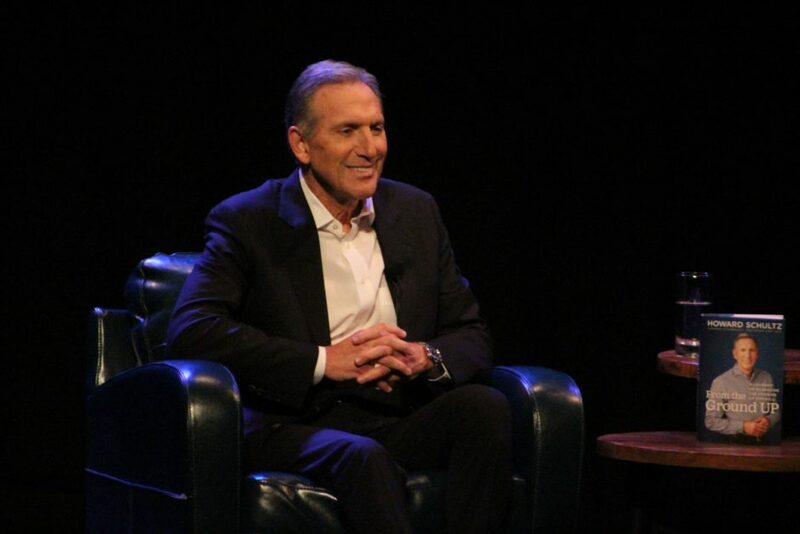 The talk, moderated by journalist Monica Guzman, naturally had another topic largely covered recently in the news: he’s thinking about running for president as an Independent. 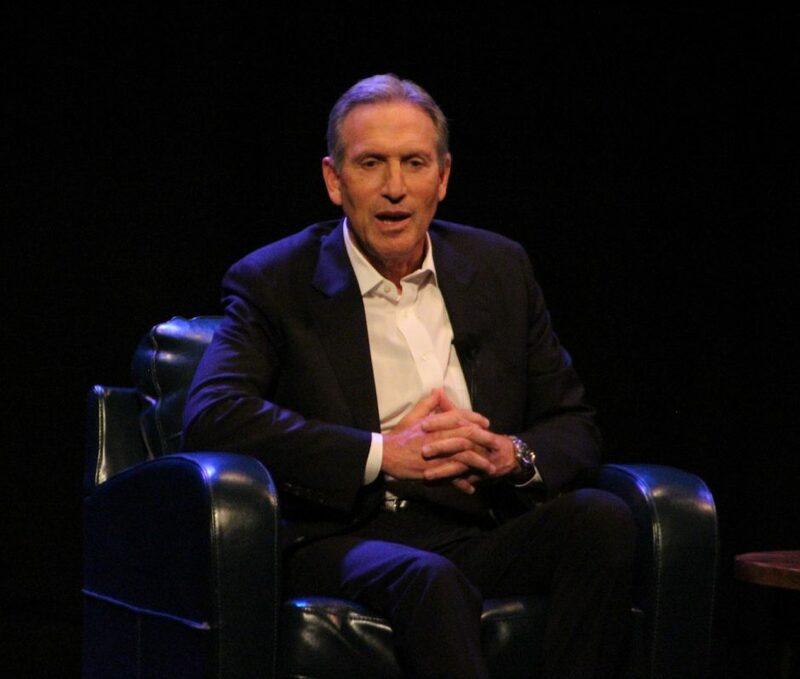 Schultz was even open about his regret of selling the Sonics, and his disappointment that his #RaceTogether campaign, where Starbucks baristas and customers were encouraged to talk about race, didn’t go as well as he hoped. 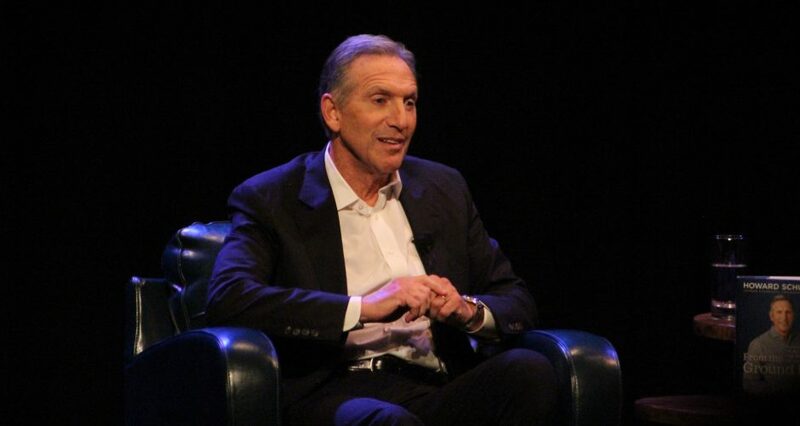 To run as a third party candidate might be risky for the other parties, but Schultz assured the most likely liberal audience he was “not doing this to be a spoiler” and “not doing anything to re-elect Donald Trump.” Instead, he said that part of just thinking about this was spurred on by people who are “disgusted by the toxicity of our politics,” and for young people who have only seen “revenge politics” in their lifetimes. 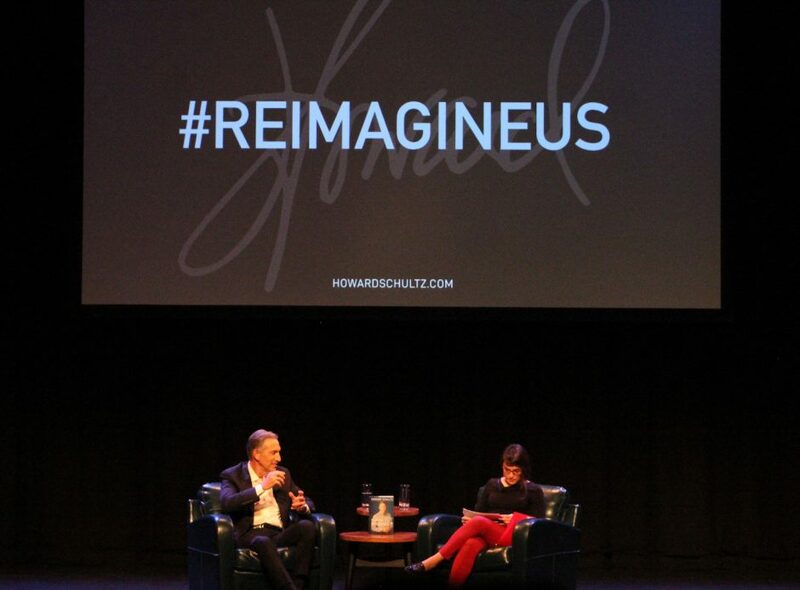 Schultz was inspired by his travels around America, where he a met Mary Poole, a woman in Montana who decided to help Syrians after seeing the famous photo of a Syrian boy dying on a Turkish beach. She’s actually helped refugees relocate to Montana. 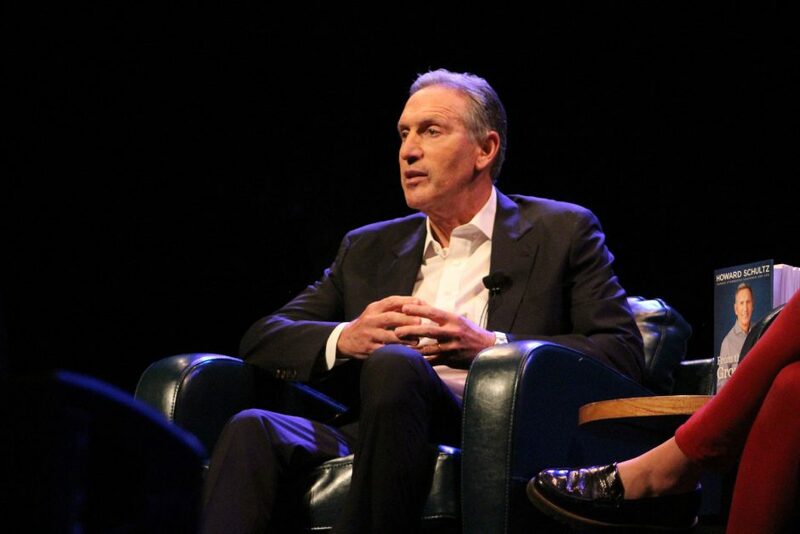 He also found that the country didn’t seem as divided as one would assume they are from media and politicians. He found “real people working together” in West Virginia, and at the southern border, for example. Written by: Dagmar on 02/06/2019. 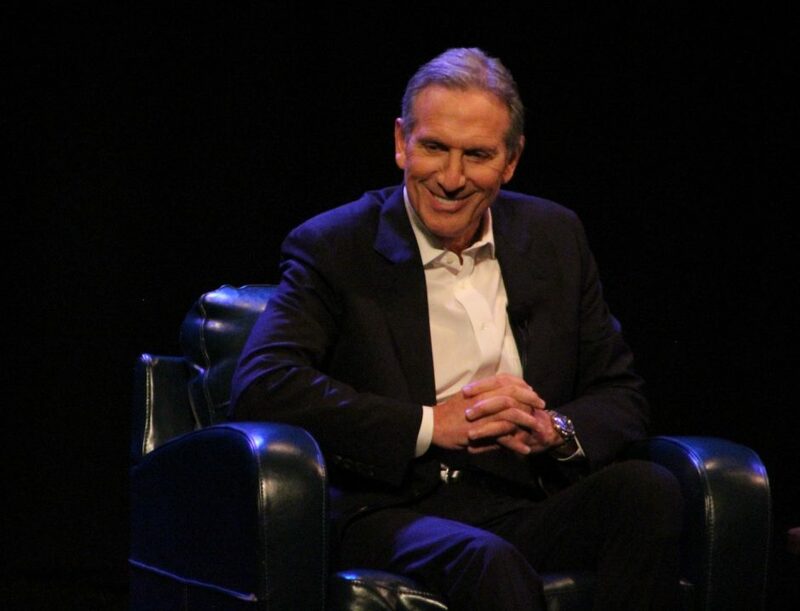 This entry was tagged howard schultz, posted by dagmar. Bookmark the permalink.